Hyde: OK FINE....I sell questionably legal potions and energy/desert drinks at the Blackfog Bazaar. Questionably legal? That about describes my day. Well, that's as good a way to make a living as any. I sell weapons to sometimes questionable individuals. More often than not they fit the Empire's definition of "questionable" which involves, but is not limited to, Reistors, people who question the Empire, and anybody who wears a gas mask regularly. Hyde: (Leans over the top of his bookshelf-perch, swinging his legs with his hands supporting his chin) OOOOOO Do tell Jules. Henry: (Looks up in concern) M-Miss Ava? A-are you ok? You poor thing, what happened to you? Henry, do you need something? Henry's Rusty Spotted Cat pats his leg with a soft mew. M-Miss Ava? A-are you ok? I ran into an ENDERMAN and nearly died (Big fear of mine). Don't worry, they can't actually hurt you in real life. And we saw some fabuloso turtles. If that wasn't EPIC SOUNDING then I dont know what is. IKR? It was super fun. Oh, and I had a thalassophobia overload. Erik: (Smiles) What a thoughtful gesture. 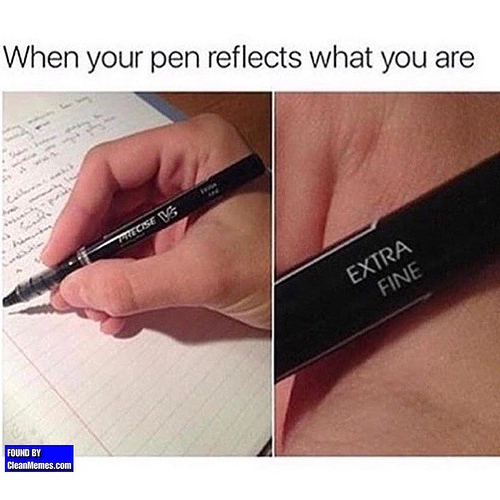 Ooohhh wait is it the 'Extra Fine' thing? i do have more art i need to post GROAN I'll do it later.